A sweet or biscuit tin. Mine has a 23cm diameter and a depth of 7cm. 20x Coins or washers. Alternatively use a metal weight. Put the coins/washers into a stack and run some tape around the diameter to make a counter weight. Tape this stack of coins onto the inside edge of the sweet tin. (You may want to line the weight up with the seam of the tin to help identify it’s position when looking on the outside.) 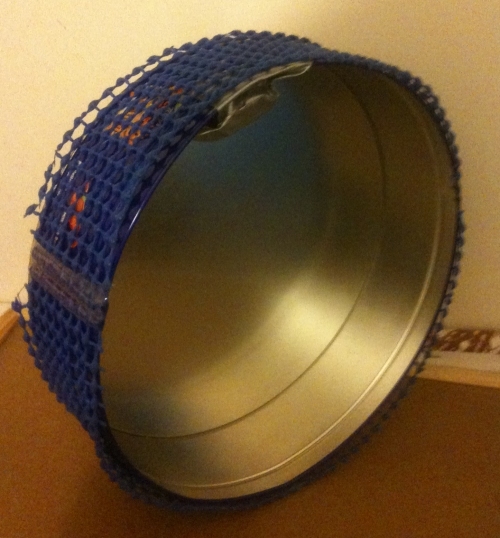 Now add the rubber sheet to the outside perimeter of the tin and tape it down. The rubber sheet provides grip for the tin when on the ramp. Your construction should look like the photo below. Place the “antigravity tin” on a ramp with the counter weight on the up hill side (see photo below). You will need to experiment to find the best incline. Let go of the tin and it should roll up hill giving the illusion of defying gravity. That is until the counter weight rolls around until it reaches the bottom of the tin. The added weight changes the centre of mass (COM) of the tin which would normally be at the centre of the cylindrical tin. 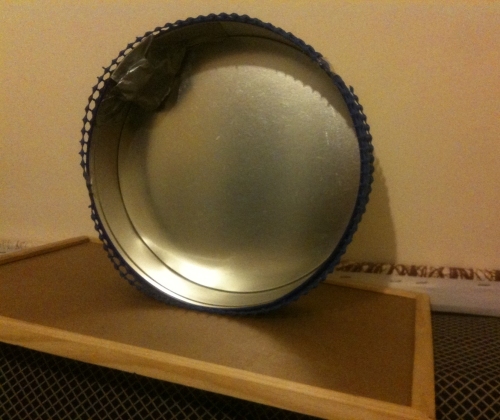 The COM is now situated close to the extra weight on the edge of the tin. Gravity acts on the COM and pulls it downwards. In order for the COM to move downwards, the tin has to roll up hill. Physics and not magic.